Unfortunately, this is not always the case because our abilities to properly gage our performance decreases as we consume higher amounts of alcohol. Alcohol can cause us to take greater risks, which we would otherwise avoid while sober. As a result, you could find yourself being charged with impaired driving or “Driving Over 80,” depending on the results from a breathalyzer test or other type of acceptable test to determine the amount of alcohol in your system at the time of the offence. 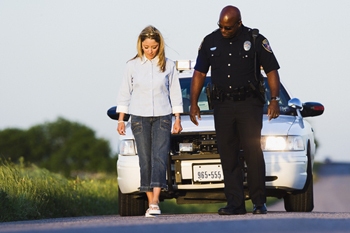 The laws regarding impairment are not always concise, except in cases where the accused is considered “Over 80.” Far too often, deciding whether a person is impaired is left up to the police officer(s), who made the traffic stop and their evaluation of the individual’s ability to safely operate the motor vehicle. As such, there have been times when a person has been charged with an impairment offence, even in cases where they may or may not have consumed alcohol or other substances. For instance, certain over-the-counter cold medicines could result in an individual exhibiting signs of impairment, when they are otherwise not impaired by alcohol. Yet, the arresting officer mistakes these symptoms as that of impaired driving. This is not to say every case of impairment is the result of the police not making accurate assessments, it is just to point out sometimes law enforcement officers can make mistakes, as they are human and have to rely upon the circumstances presented before them to determine whether they believe a person is impaired. The main thing to remember, if you are charged, is calling into question whether you were actually impaired from driving, as there as different degrees of impairment. To better illustrate this defence, consider a situation where you consume one drink at dinner, then on your drive home are stopped and charged with impaired driving. The question to be answered here was to what degree were you impaired? Granted your ability to perform certain functions may be reduced, but it is whether your ability to safely operate a motor vehicle that truly needs to be answered. The courts and trial judge must be satisfied beyond a reasonable doubt of the impairment. If they are not, then it is possible to have the charges dismissed. Even in cases, like a “Driving Over 80” offence, where it seems you are guilty, there are sometimes other types of defences that can be used to have charges reduced or even dismissed. If you have been charged with a DUI, before you please guilty, call Ottawa DUI lawyer, Céline Dostaler at 613.695.8595 for a free 30-minute consultation today!